There are so many good reasons to retire in Bali. The Balinese are an enchanting people and their culture and religion is fascinating. Almost everyone speaks English, which means there’s no language barrier, making daily life that bit more relaxed. Plus, who wouldn’t want the conveniences of home, beautiful beaches, excellent shopping and delicious food for a fraction of the cost? Your money stretches farther here, so you can live a luxurious lifestyle for pennies on the dollar. You could live in a two-bedroom, two-bathroom villa with a private pool for $300 a month! That leaves plenty of money for the little frills that Bali is known for…like lavish spa treatments or a snorkeling expedition. You can even hire a maid for as little as $38 a month. Ubud and Seminyak are the most popular places with expats and tourists. Both of these areas have all the Western amenities that you could think of, making fitting-in here a breeze. Ubud, which is a 30-minute scooter ride from Keramas beach, is the bohemian and art center of Bali. It’s utopia for free-thinkers and those who might appreciate living outside of the box. If you want to learn to meditate, make silver jewelry, or balance your chakras, then Ubud is for you. Sanur, on the southeast coast, is a small laidback town with calm waters and great restaurants. A pretty boardwalk along the beach makes this little city perfect for bike riding. Uluwatu is the surfing capital of Bali. It’s generally not for beginners as the waves can get intense, but it’s perfect for a seasoned surfer who wants to live the old-school surf lifestyle and hone their skills. 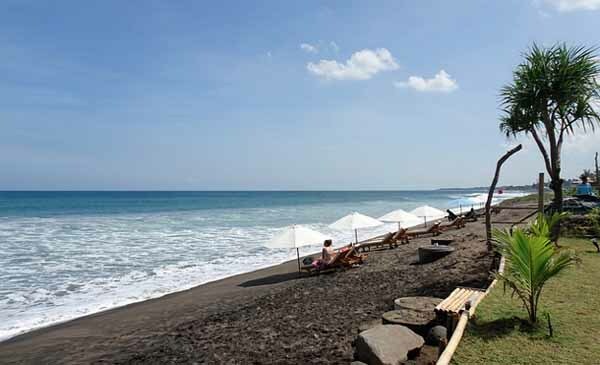 Lovina, on the north coast, has black-sand beaches where daily pods of dolphins can be seen frolicking in the water. It’s not a surfing spot but there’s great snorkeling and scuba diving to be had. It’s small enough to know your neighbors, but still has plenty to do to keep you occupied. Bali offers various types of visas—tourist, business, employment, social, and retirement visas—each with their own set of rules and benefits. To qualify for a retirement visa, you must be at least 55 years old of age; have proof of health and life insurance, proof of pension—a minimum of roughly $1,520 per month, or at least a lump sum of $18,270 to provide living expenses while in Bali; proof of a rental agreement with the cost set at over $380 a month; a letter stating you agree to employ one Indonesian while you live there—an assistant, a household worker, etc. ; a C.V; and a statement agreeing that you won’t work while in Bali. These rules and regulations can change so be sure to check for updates and additions. By acquiring this visa you’ll be able to stay in Bali for one year and renew for five more…but that’s not the only benefit. You can also open a local bank account and get a local driver’s license—although an International Driver’s License is also valid. Some restaurants, tourist attractions, parks, and hospitals offer discounts to those with the visa. Once you have lived in Bali for five years or more, you can apply for official residence. Lots of people have no problem in looking for reasons to retire in Bali. The local people are warm and friendly, the Hindu religion is intriguing, the Balinese culture is fascinating, and the weather is balmy all year round. However, from an outsider’s point of view, retirement to Bali may seem a complex process. But if you do your research and plan ahead, you’ll soon find the easy life is at your fingertips. If you’re 55 years or over, you can live in Bali long term, enter and exit Indonesia as often as you like, and even open a local bank account. Once you’ve arrived in Bali on a social visa, there are steps you need to take to ensure a smooth process to gaining your retirement visa. This is a very basic rundown, so be sure to investigate your situation thoroughly. Before you make the move, test the waters first. It’s no secret that a short holiday escape is a different experience to living life in a different country. Aim for a stay of at least three months, live amongst the locals, eat local foods, and get a true feel of Bali life. That’s long enough to ensure the weather conditions suit and enough time to start building a network. Other expats are the key to helping you adjust and cope with your new life. Explore the different regions. To quote Sir Richard Branson: “Don’t think what’s the cheapest way to do it or the fastest way to do it. Think what’s the most amazing way to do it.” There’s a real diversity to Bali that should be explored, so list your priorities in life and then choose the area you feel suits you the most. Look for housing. There are many quality-housing options in Bali—whether it be a studio—style kos, an apartment or a modern, Western-style villa. Searching can be time-consuming though, so consider hiring a local agent to help you with your quest. To gain your retirement visa, you must show proof that you are living in Bali. A lease agreement should always be signed and this is all you need as verification. How are you going to get around? An international driver’s license will allow you to drive in Bali and you can rent a car from around $175 per month or hire a scooter for as little as $42 a month. Be sure you have the correct license and insurance to cover you. Alternatively, use the many taxis and drivers available to you. Sign up for medical insurance. The Indonesian government likes to know you can look after yourself should the need arise. Your cover can be in the guise of personal insurance or travel insurance, but be sure to research what will suit your personal needs best. Hire a house cleaner, gardener, private chef, or domestic helper of some kind. 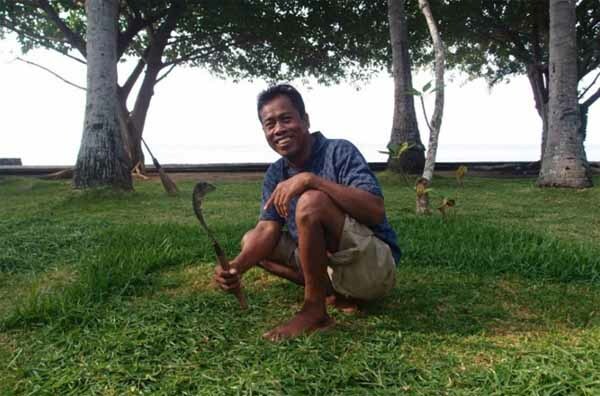 The law requires you, as a long-term resident of Bali, to employ a local. This could be a housekeeper for as little as $20 per week or a gardener for as little as $10 per week. Obviously, you will need to ensure you have enough money to support yourself, and you should plan your budget accordingly. You need to provide proof of an income–the minimum is US$1,500 per month. Enough to cover your living expenses while living in Bali. Ensure you have a passport with more than 18 months of validity. You can do all of the application yourself, but you’ll find it much easier if you engage a reputable agent. They will ensure your paperwork is complete and help avoid unnecessary visits to the immigration office. Speak to other expats for recommendations. You may hear stories about people gaining their retirement visas, or any visa for that matter, without meeting all of the necessary criteria. To be safe and to ensure the validity of your visa, go through the proper procedures.